Well-known former creative Craig Buchanan, is having his third solo art exhibition. Titled America Three, it is the latest iteration of his continuing fascination with The United States, and in particular New York City. Buchanan has had two previous exhibitions of photographic works but this time has extended his range with a collection of paintings. Incorporating experimental silkscreen techniques and traditional oil painting, he explores themes of isolation and melancholy while referencing the counter-culture movements of 1960s New York. 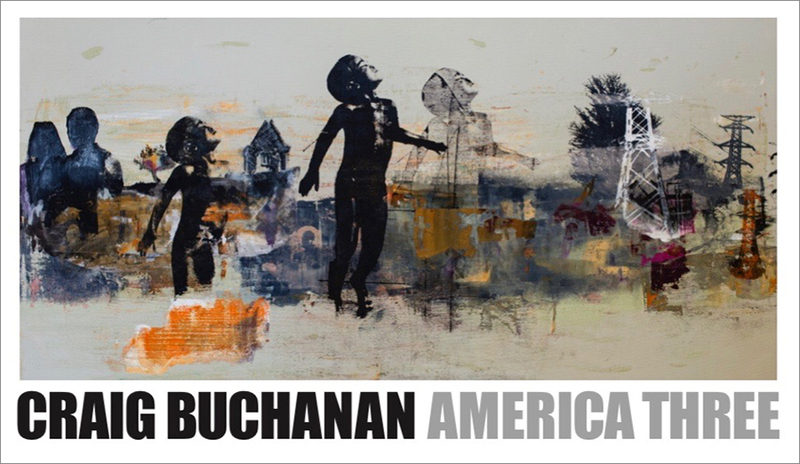 “Composed of what may at first seem unrelated imagery from my photographic archive, I’m interested in blurring lines between traditional oil painting and printmaking giving the viewer a feeling of uncovering fleeting moments that are somehow connected” said Buchanan. The exhibition opens on Saturday, March 23 from 2pm to 4pm at Linton and Kay gallery, 11 Old Aberdeen Lane, West Perth and runs until April 11. Buchanan is relocating to New York City in early April. No doubt America Four will follow. Hi Campaign Brief, Who’s this person and what relationship does he have to advertising? Not trying to be smart, just haven’t heard of him before. Maybe try the Google, David. Or even search on this site. @David, pretty sure he’s a junior in the finance department at the Brand.